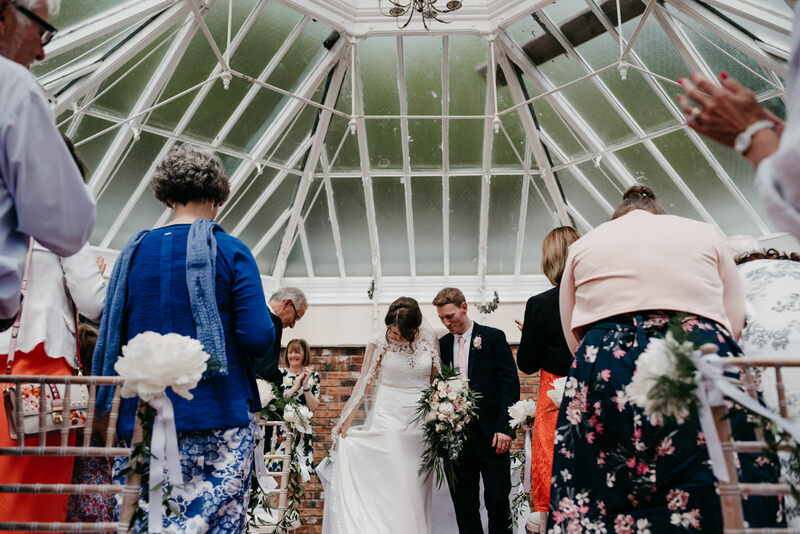 As a Wedding Photographer in South Wales I’ve had the pleasure of photographing weddings at some amazing South Wales venues. 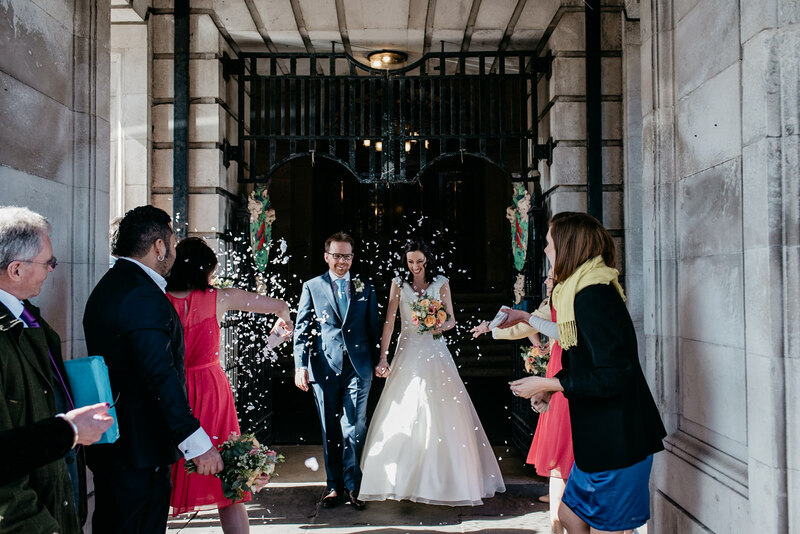 We’re lucky enough to have castles, estates and venues right in the heart of the city. 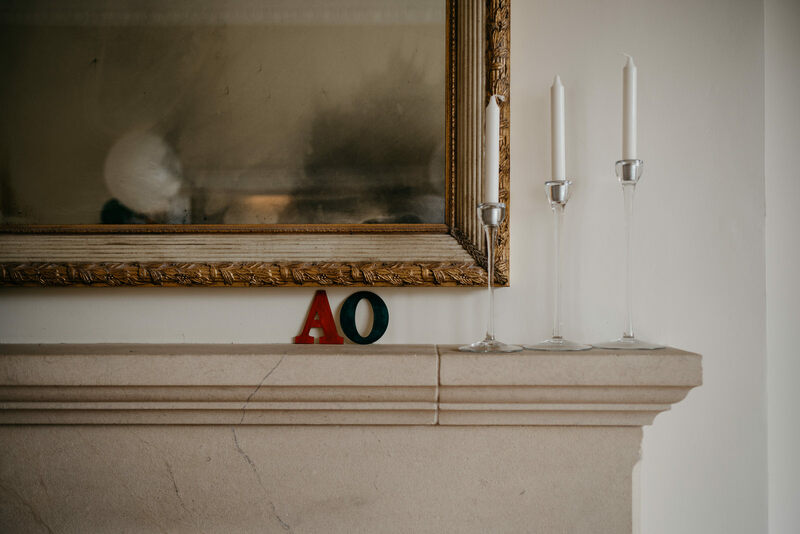 If you have any questions about a particular venue, or would like to chat about about it please get in touch. 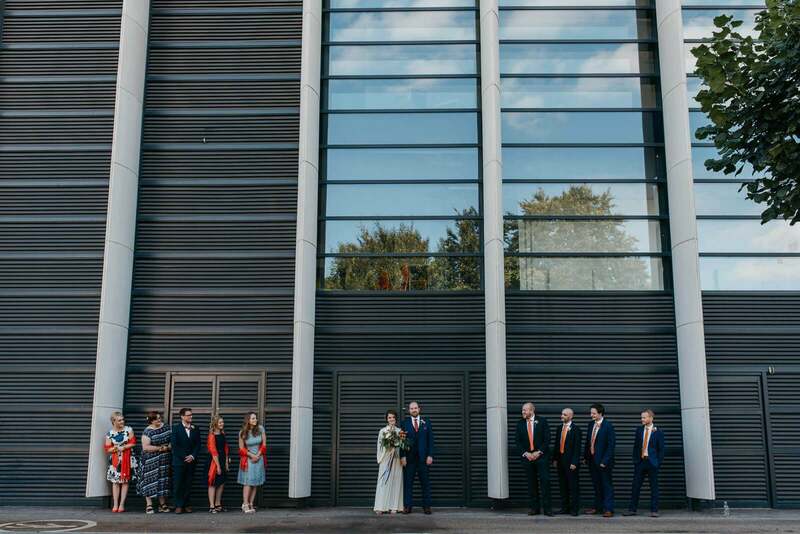 For more weddings, click here. 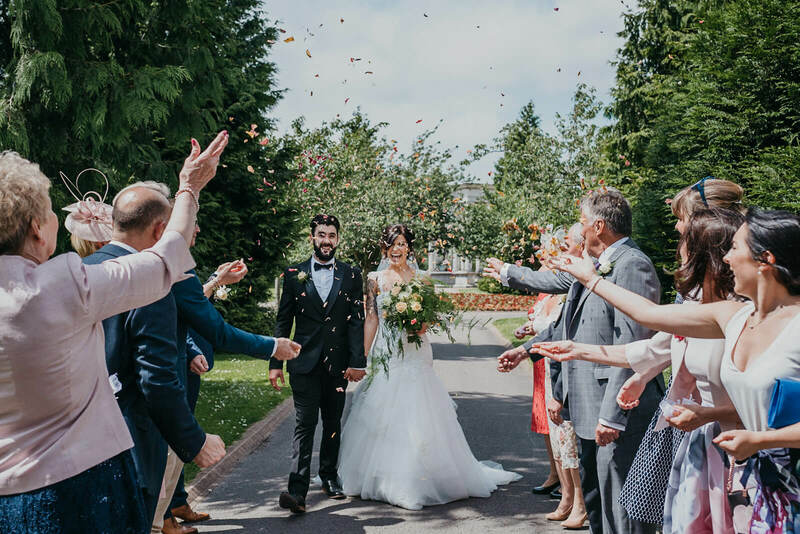 Located in Monmouthshire, The Angel Hotel is a beautiful venue that is ideal for small, family-focused weddings. 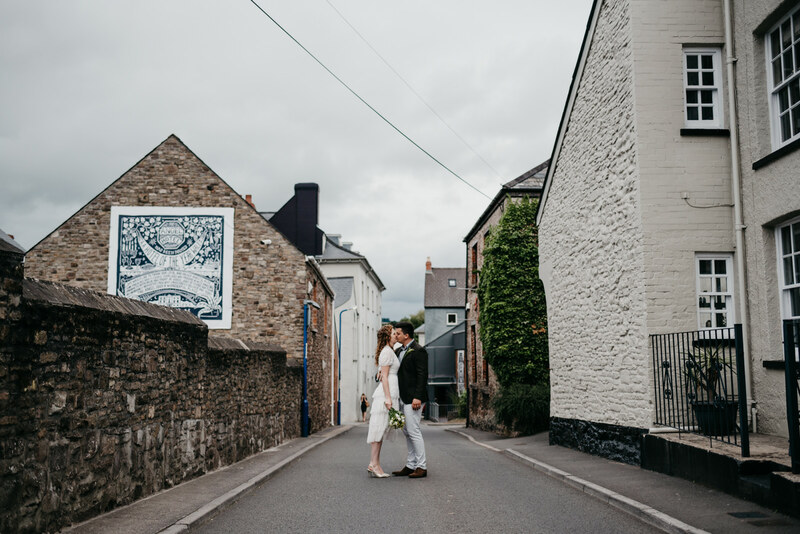 The market village also boasts so many options for portraits too, it’s such a great place to marry. 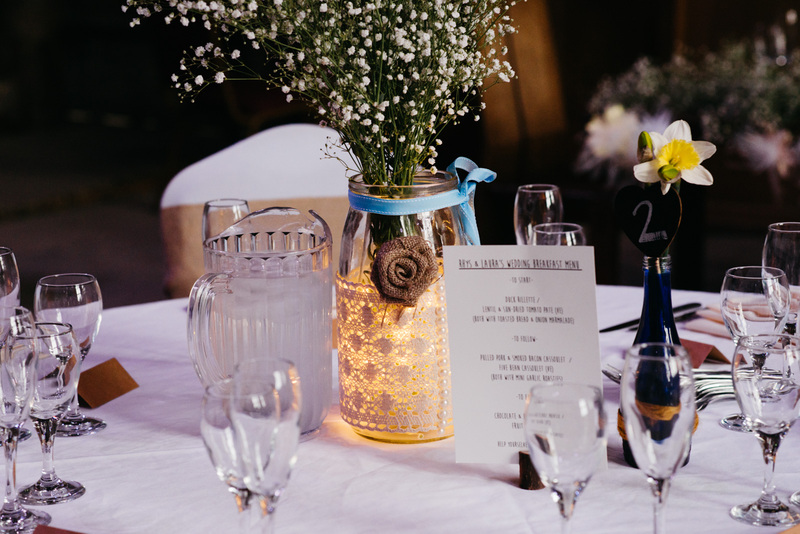 On a side note, the bread (and brownies!) 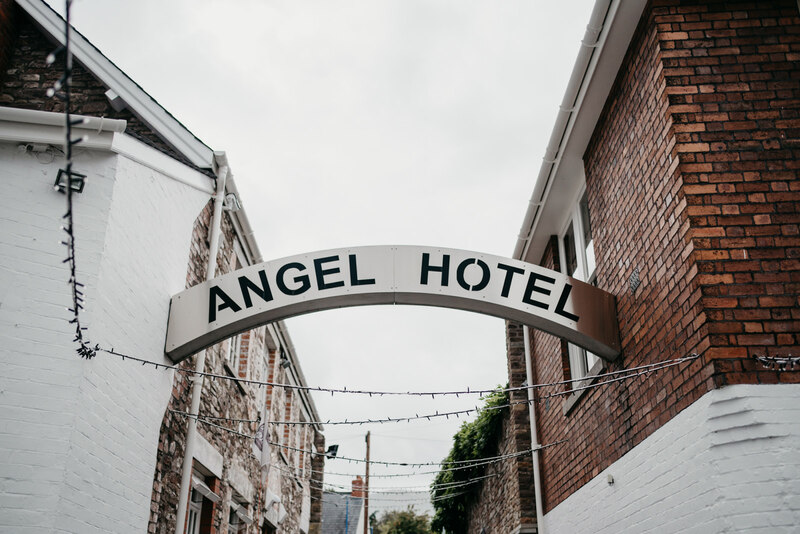 from the neighbouring Angel Bakery is the best I’ve ever tasted so if you are a real foodie I whole-heartedly recommend checking it out! 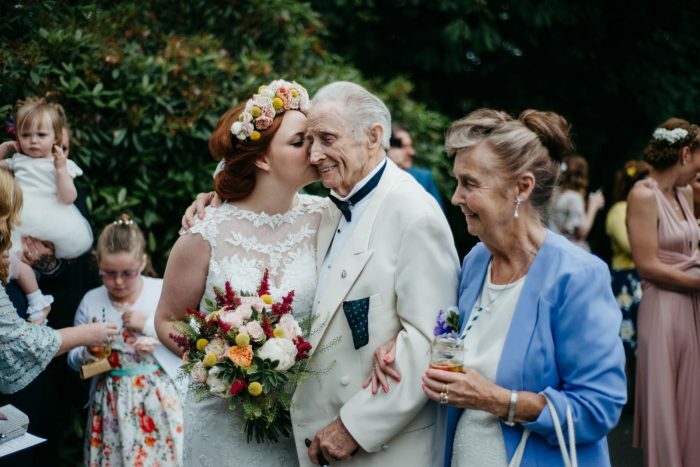 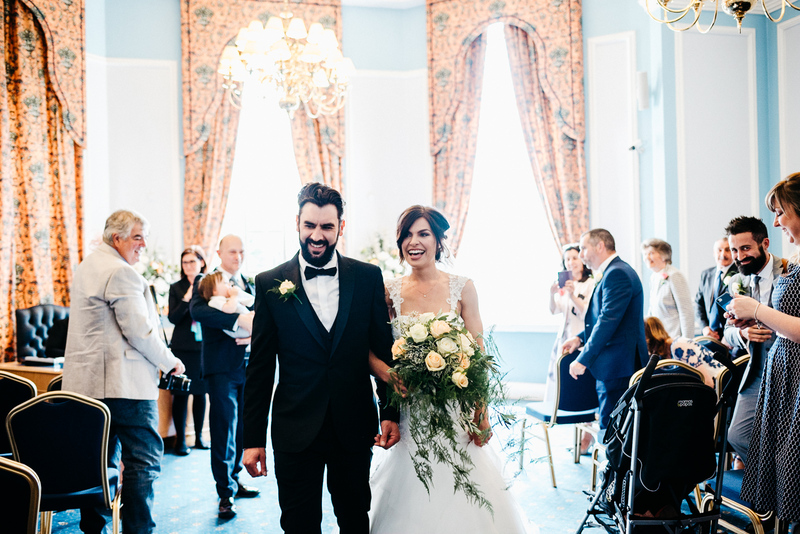 Carys and Tony celebrated their wedding day at the Angel Hotel after exchanging vows at a nearby church. 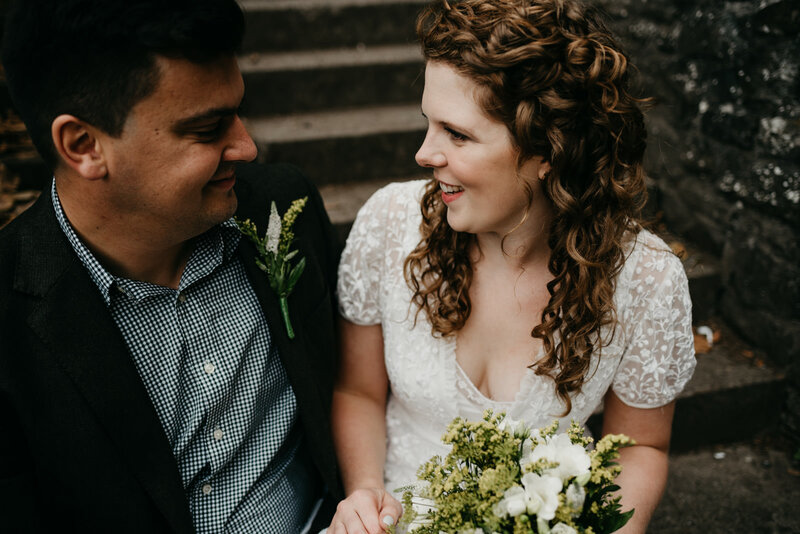 See more from Carys & Tony’s wedding at the The Angel Hotel in Abergavenny. 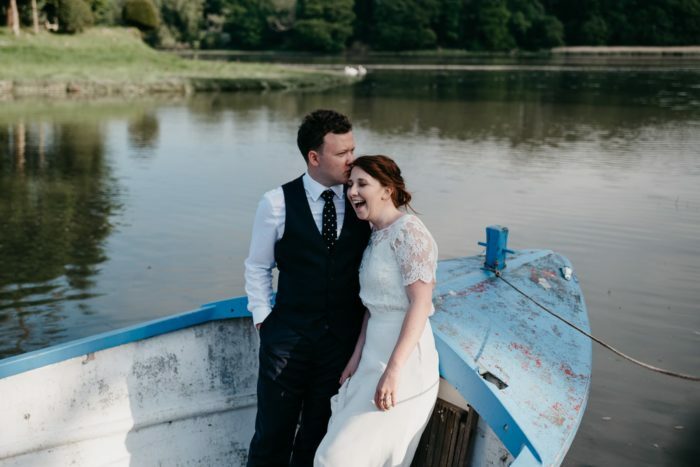 If you are planning a West Wales wedding Broadway Country House is a beautiful wedding venue located in Laugharne. 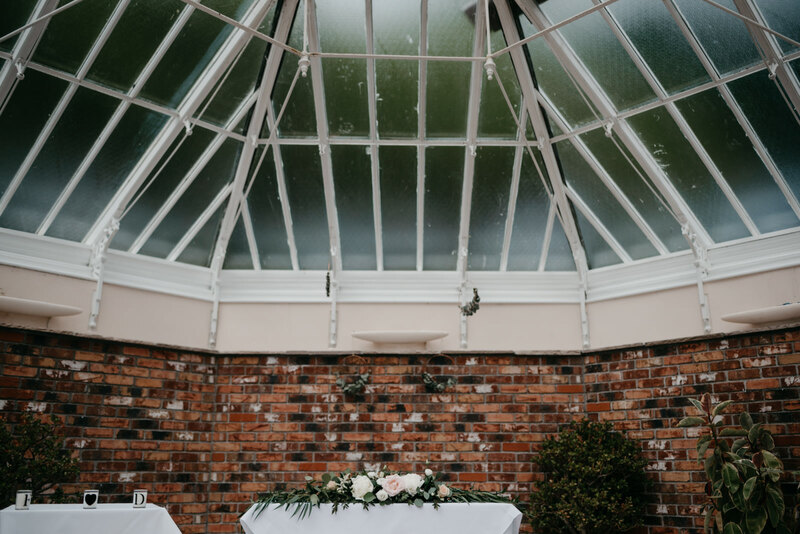 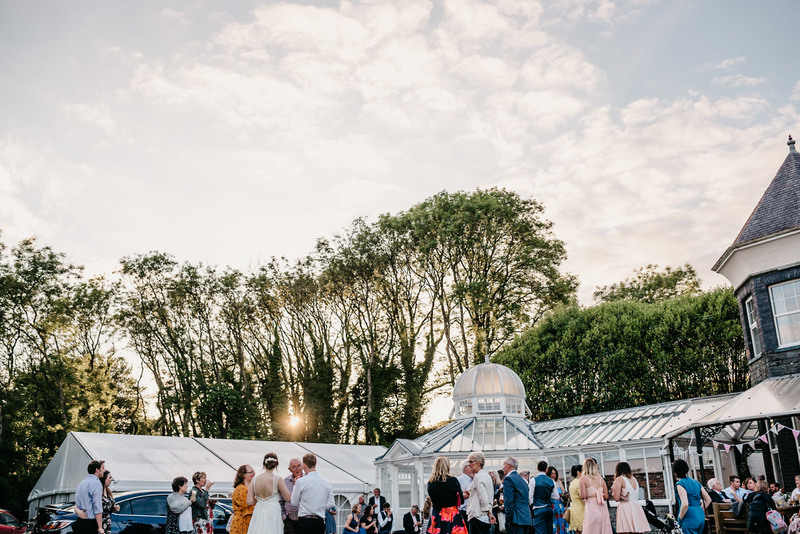 Set within ample grounds, ceremonies here take place in the orangery making summer weddings here a dream. 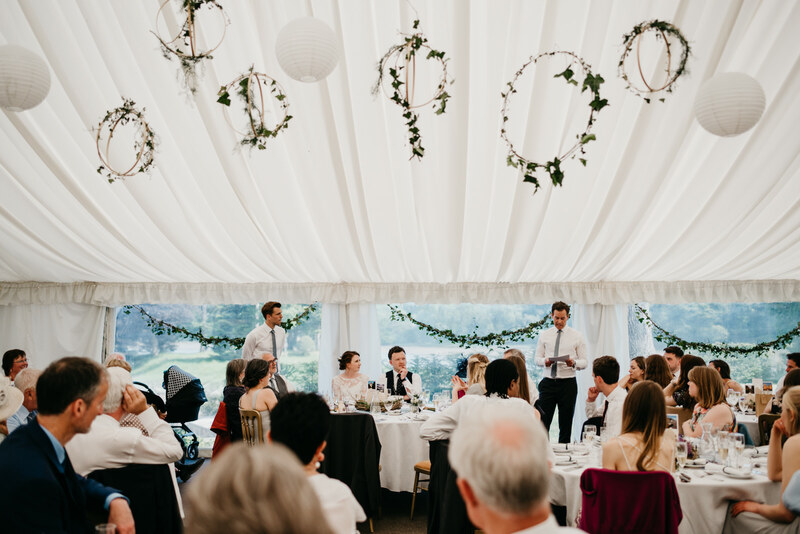 There is the option of dining in the Guy de Brion Suite in the house, or for larger weddings there is space for a marquee. 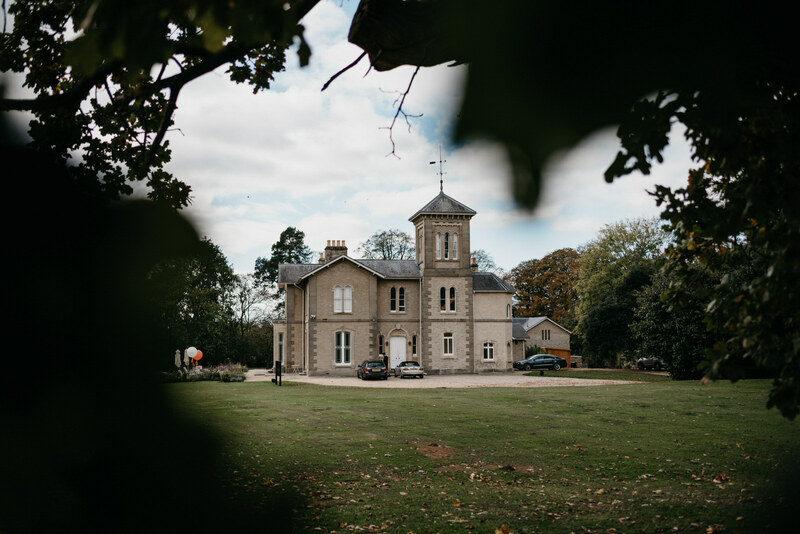 The venue also provides on site accommodation. 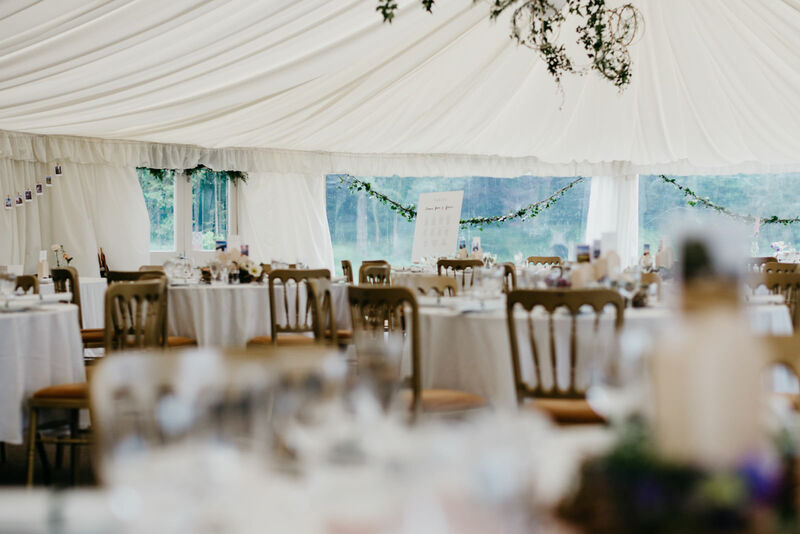 Capacity: 90 in the house, 200 in a marquee. 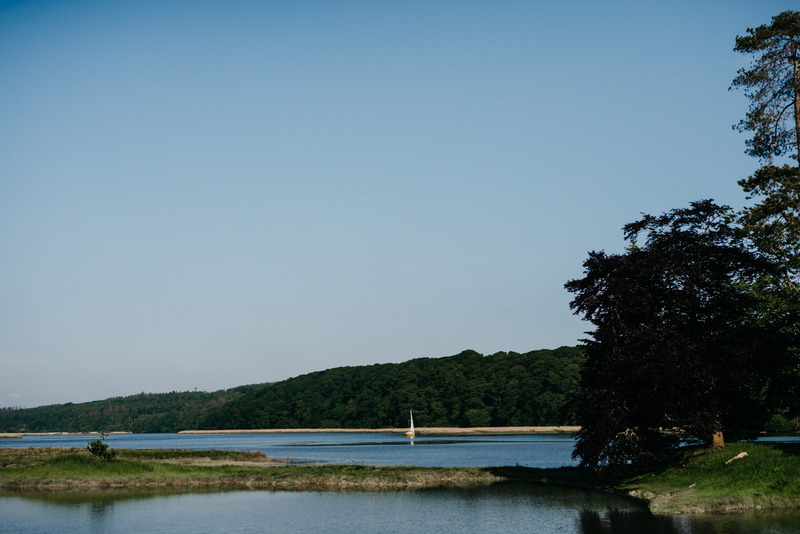 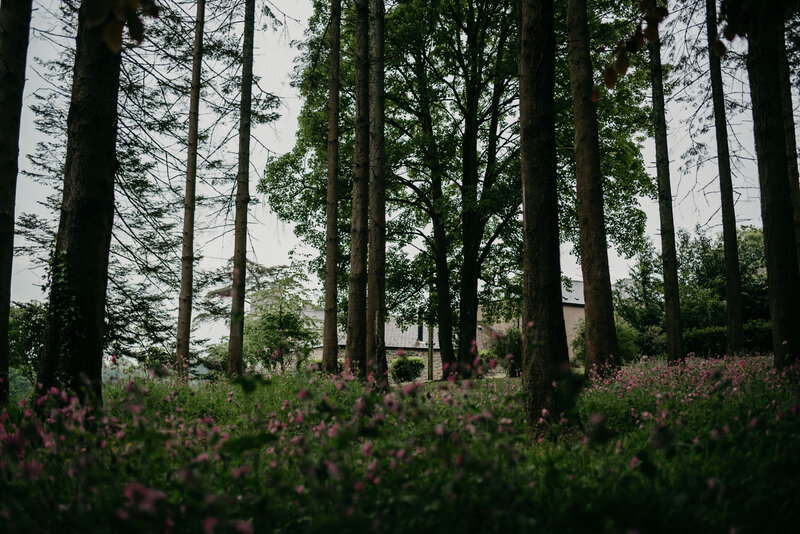 Slebech Park Estate is a breathtaking wedding venue located on the Cleddau Ddu near Haverfordwest, West Wales. 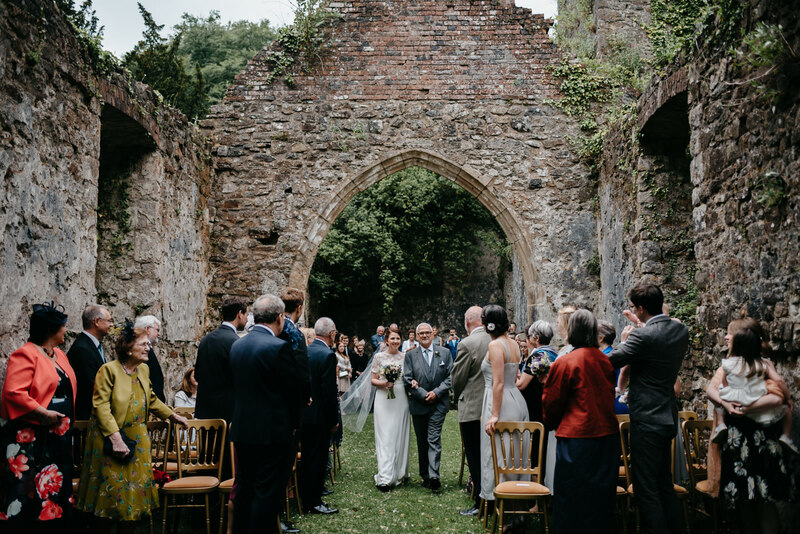 The unique appeal of Slebech Estate is that it’s one of very few venues in Wales with the option of an outdoor ceremony within the old ruin chapel. 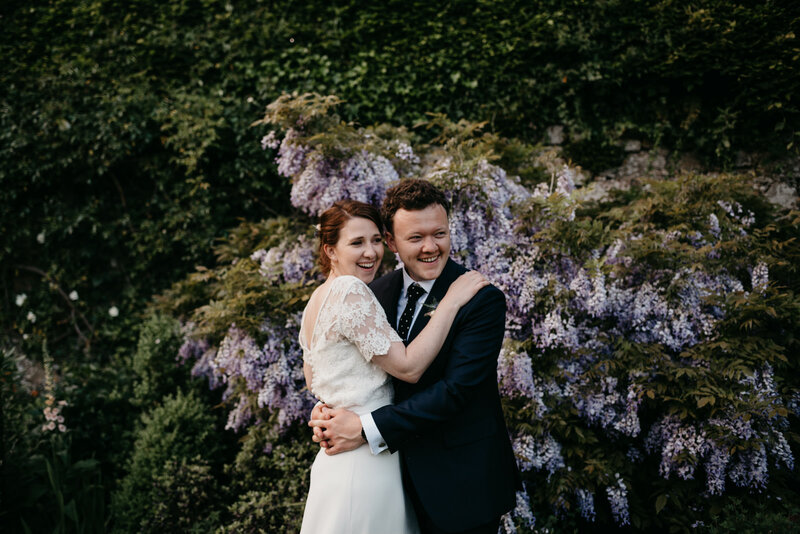 Emma and James took advantage of this, opting to exchange vows in the ruins for their wedding at Slebech Park Estate. 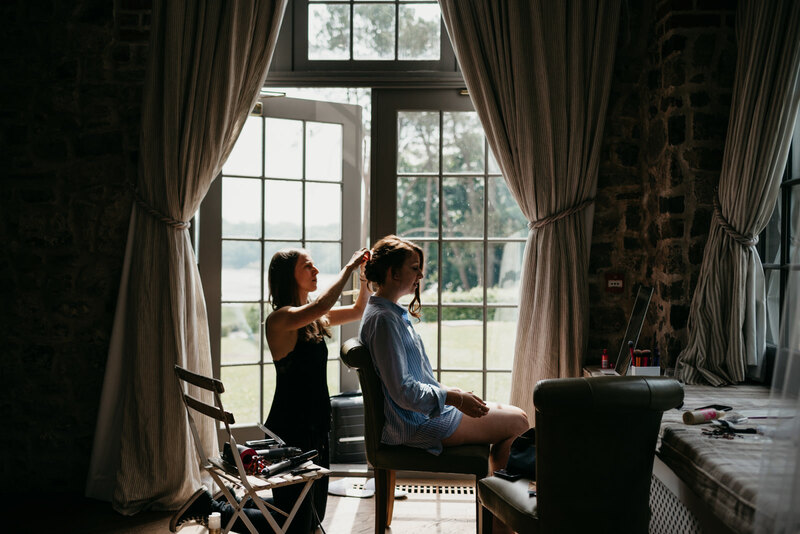 The venue boasts on site accommodation, with great light making it the ideal location for getting ready in the morning. 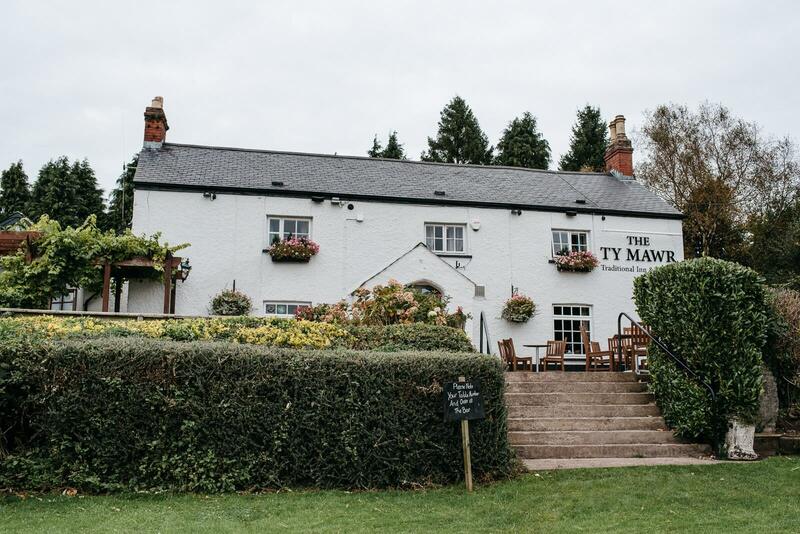 Ty Mawr is a great venue if you are planning a small wedding in South Wales. 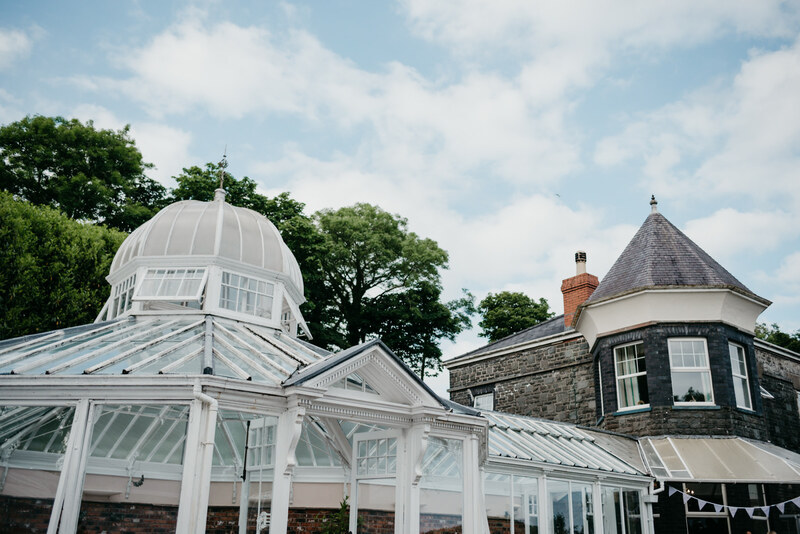 Located in Lisvane on the edge of Cardiff. 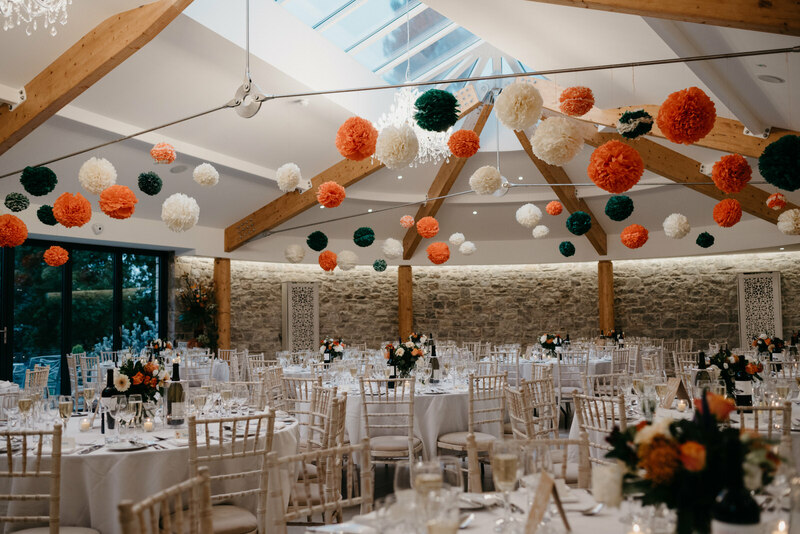 Ceremonies and dining are held in the renovated barn room, a great space with lots of potential for adding your own touches. 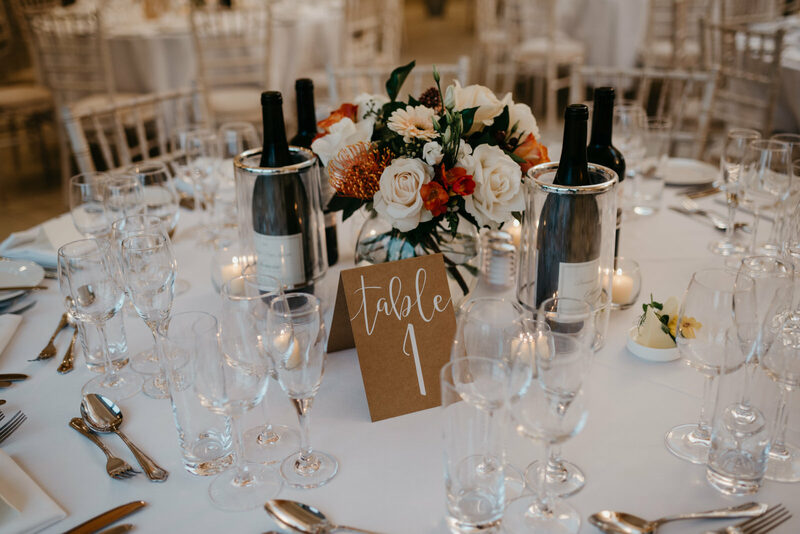 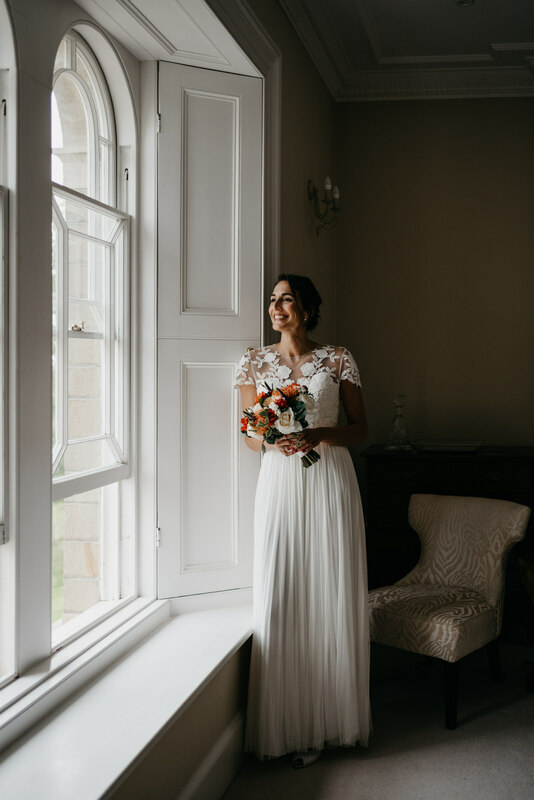 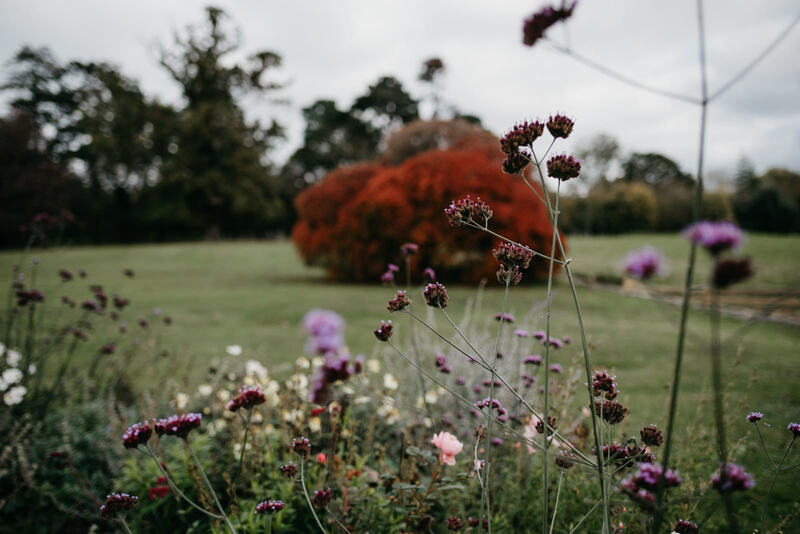 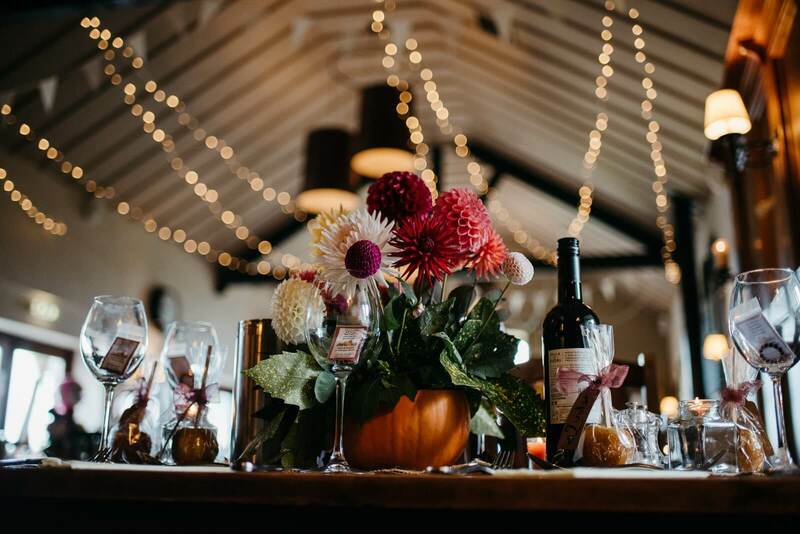 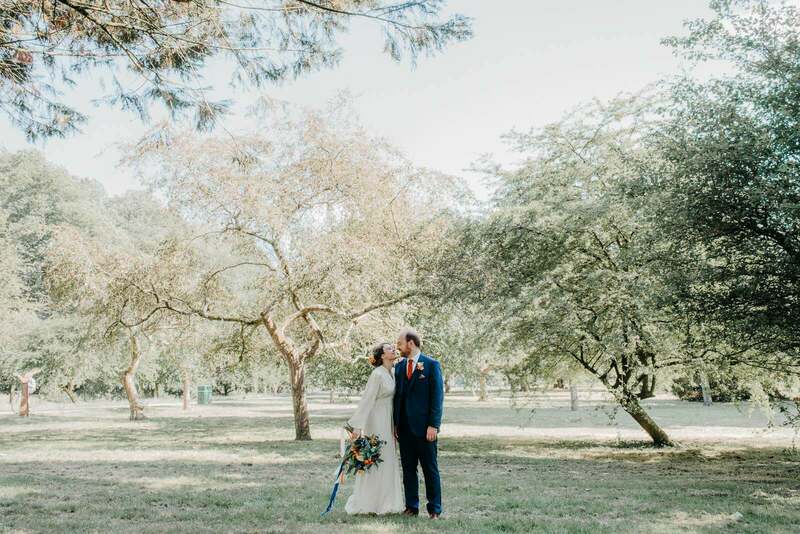 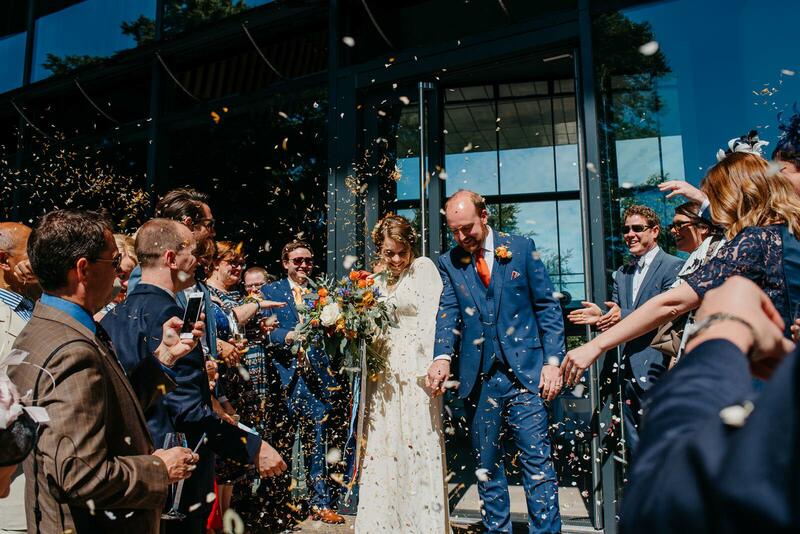 Tara and Rob also spotted the potential, and turned Ty Mawr into the perfect venue for their autumn harvest wedding. 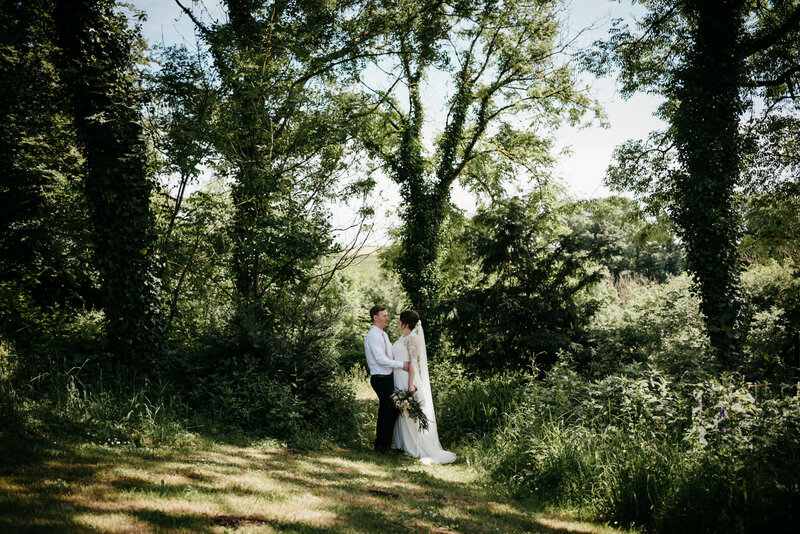 There’s lots of options for rural couple portraits too! 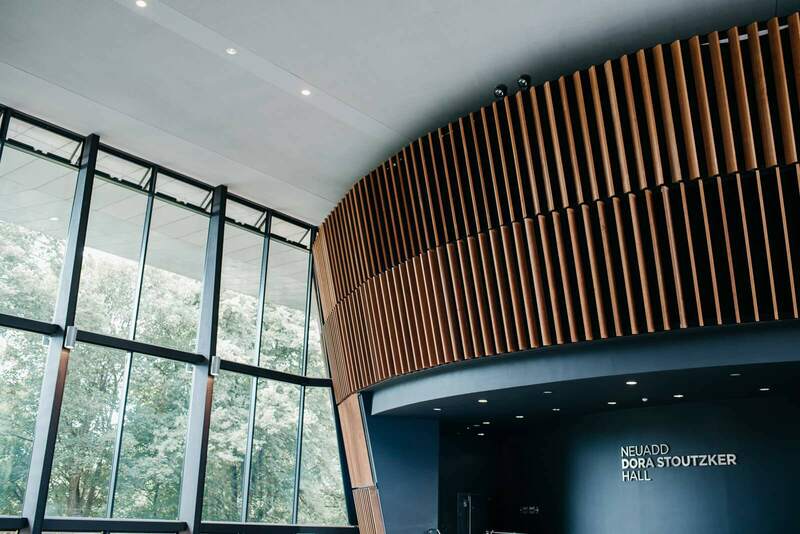 If you are looking for a modern city venue then The Royal Welsh College of Music and Drama in Cardiff is well worth considering. 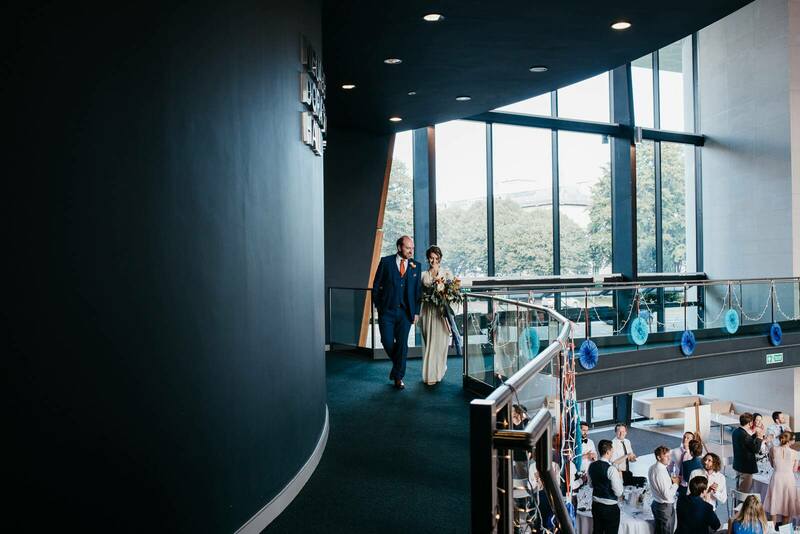 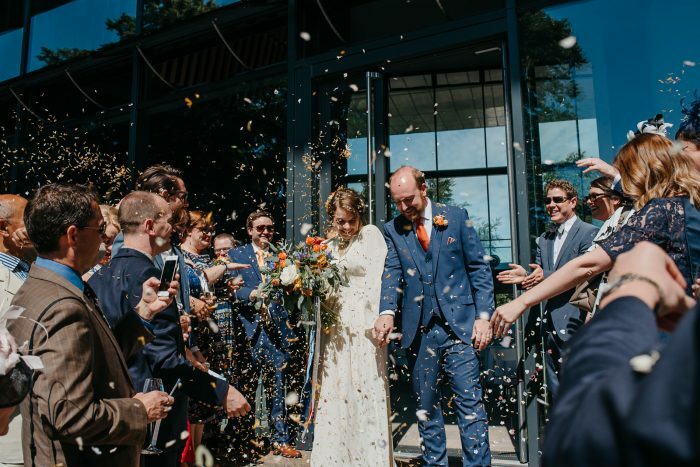 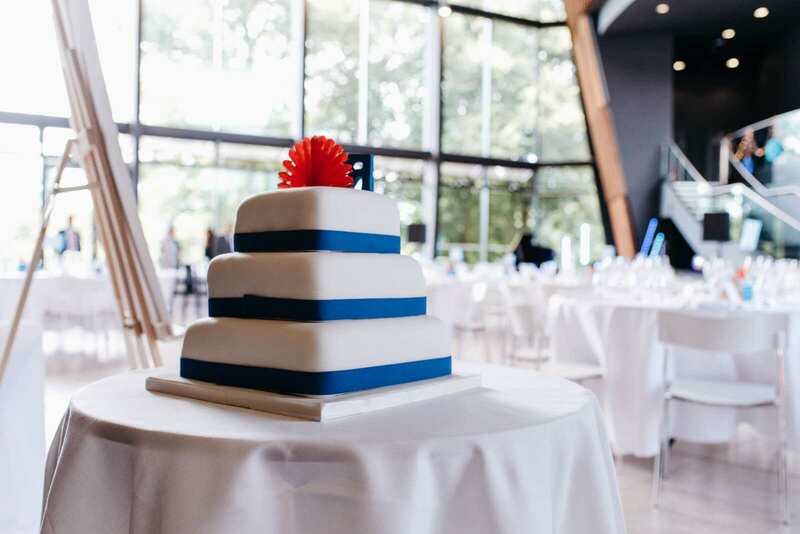 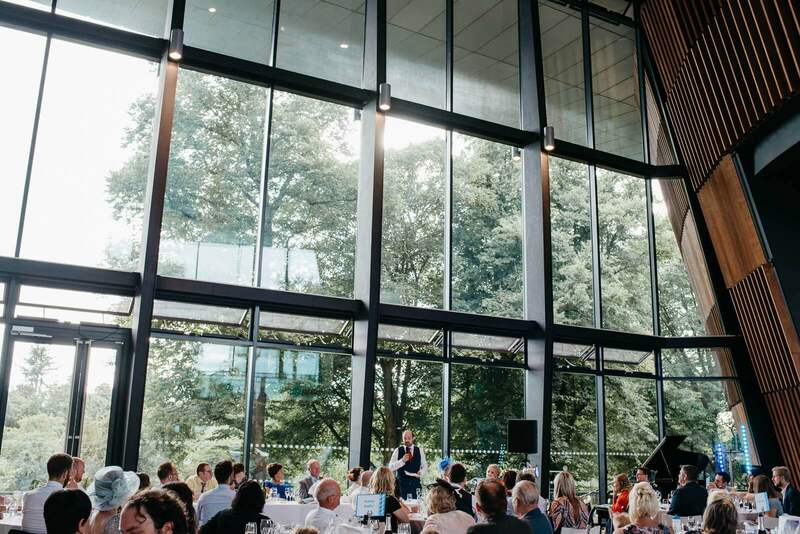 Set in the grounds of Cardiff Castle in the heart of the city, the RWCMD opened in 2011 and hosts weddings in it’s dramatic atrium space with views out to Bute Park. 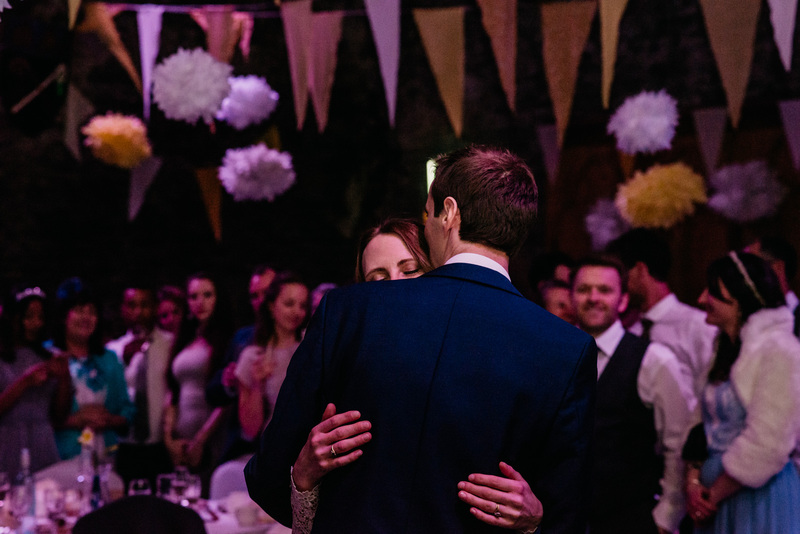 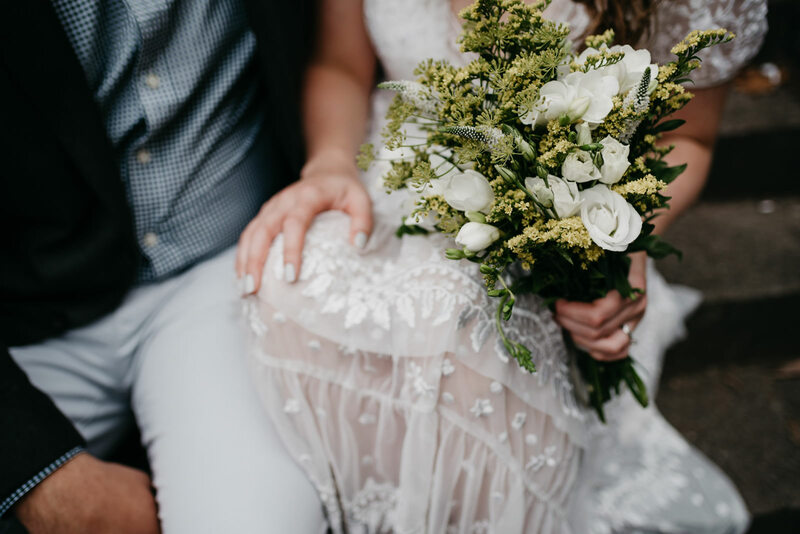 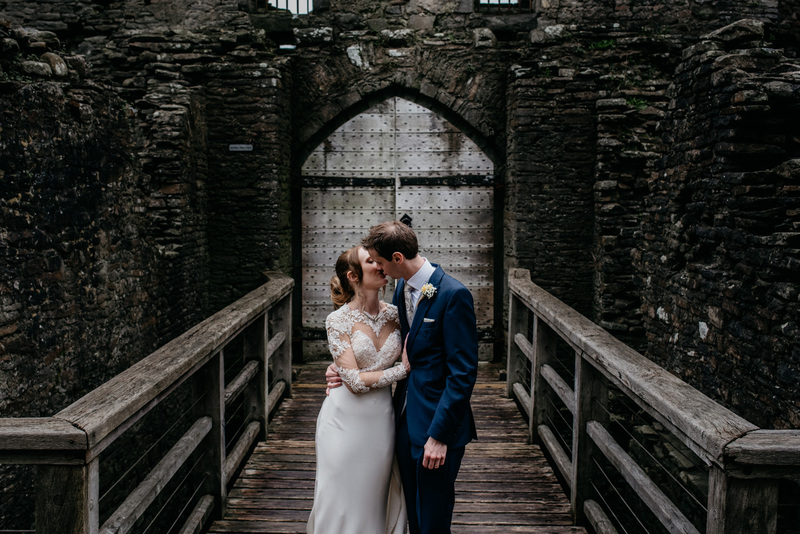 Located a few miles north of Cardiff, Caerphilly Castle is a great rustic wedding venue for couples looking for somewhere a little different from a barn type venue. 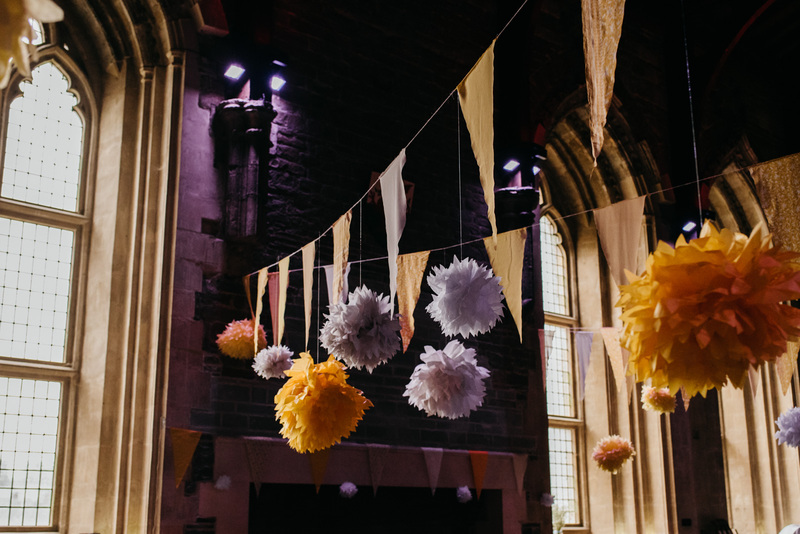 The Great Hall is available for civil ceremonies and dining and is the perfect canvas if you really want to go to town with venue styling. 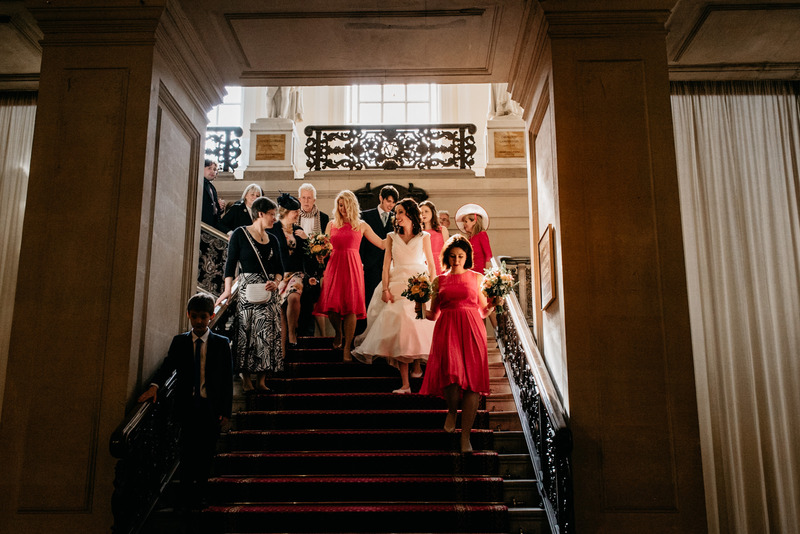 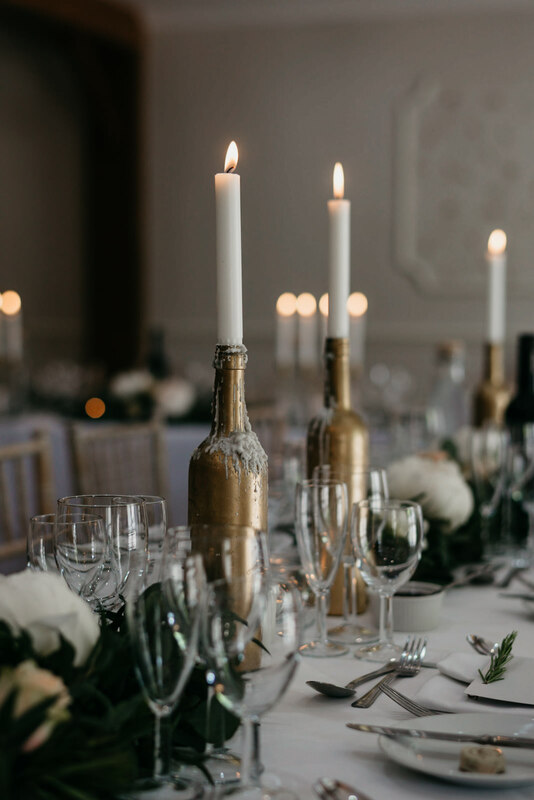 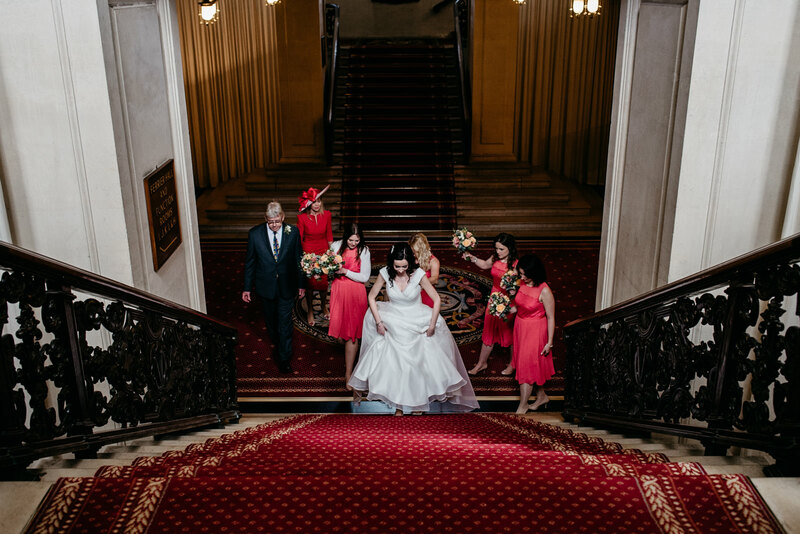 Located in the heart of the city, Cardiff City Hall is a great choice is you are planning a large wedding, as it offers the choice of three different rooms depending on the scale of your wedding. 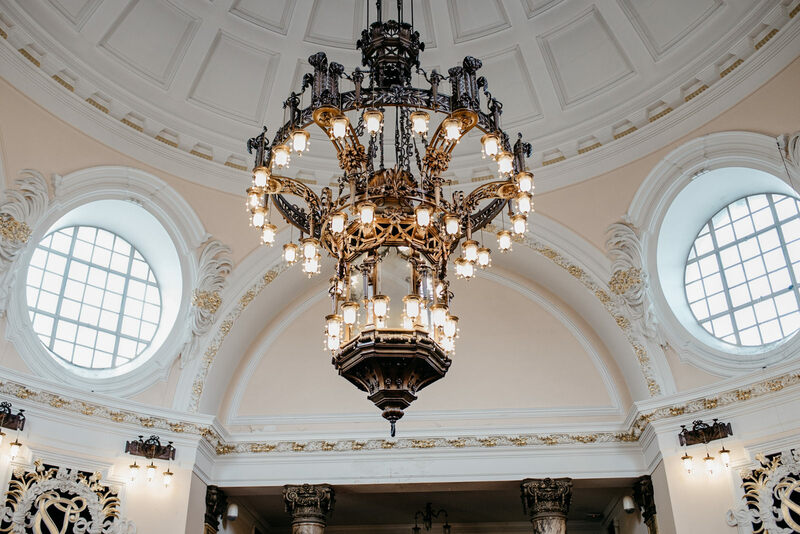 The Assembly Room and Marble Room are available for both ceremonies and dining seating upto 500 or 200 respectively. 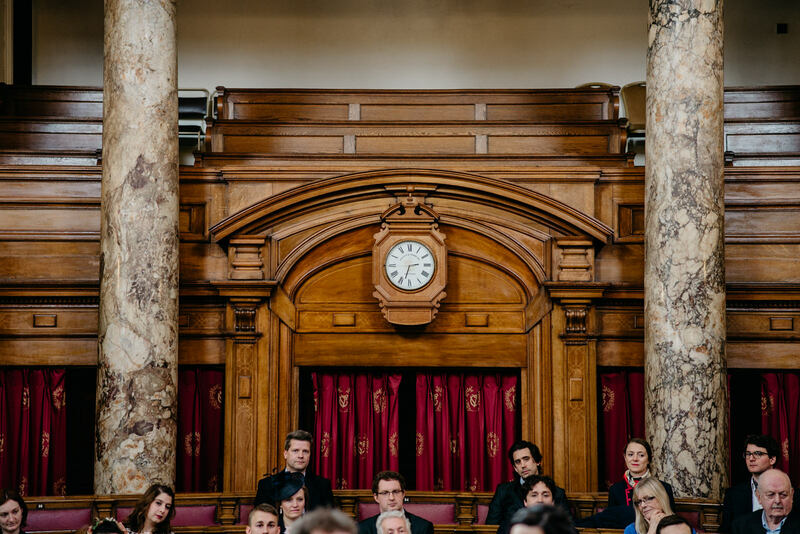 The Council Chamber is available for ceremonies and seats 90. 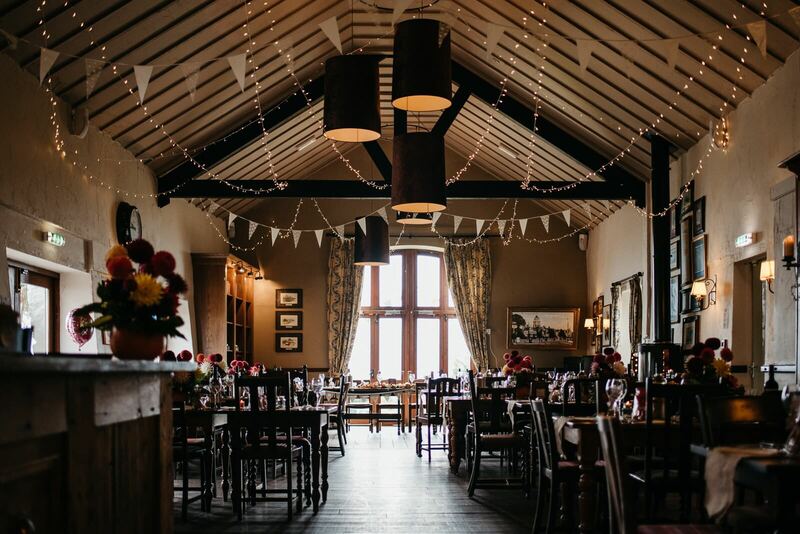 It’s a great option if you plan to celebrate with friends and family in one of Cardiffs many restaurants. 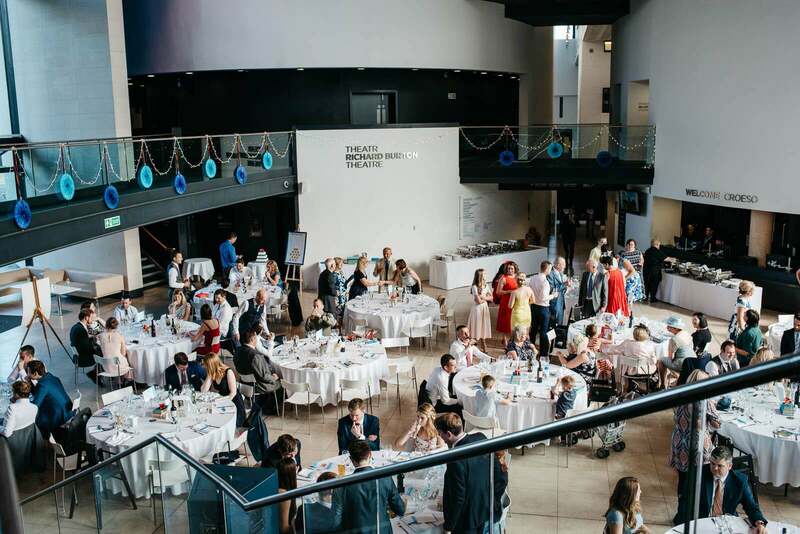 Rebecca & Ally choose to marry in the Council Chamber, and celebrate afterwards at the Gate Art Centre in Roath. 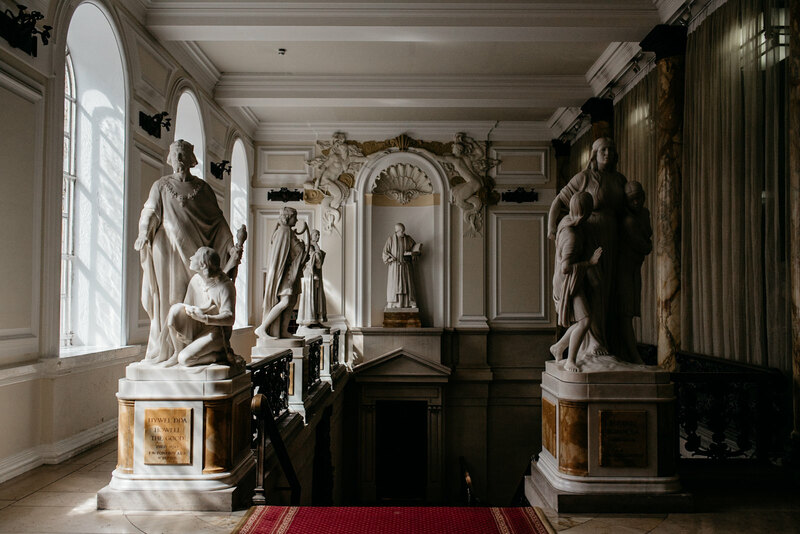 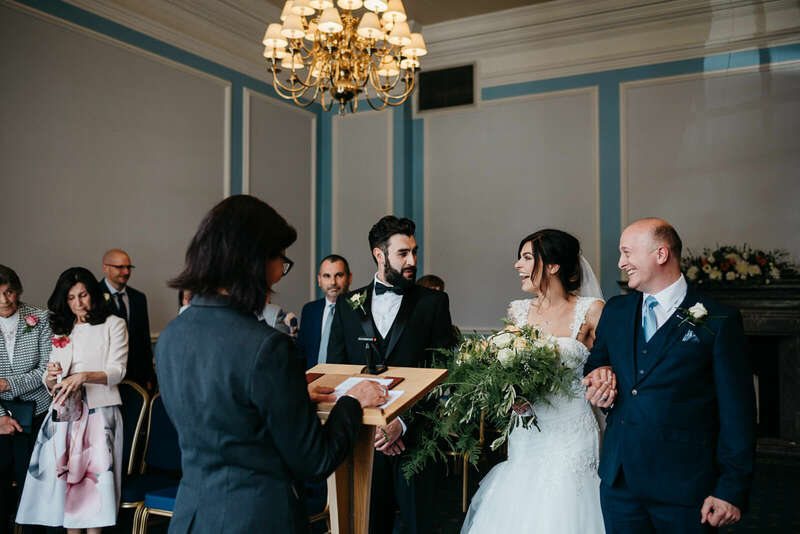 Located within Cardiff City Hall, Cardiff registry office is a perfect wedding venue for small and intimate wedding ceremonies. 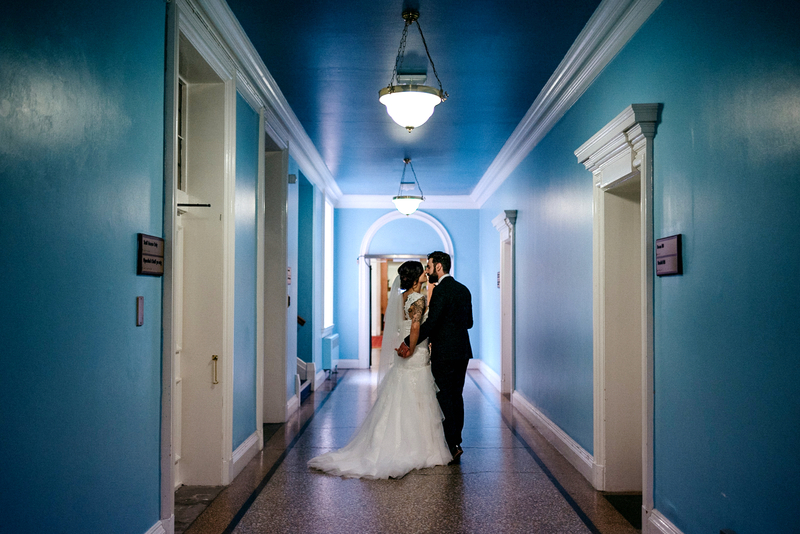 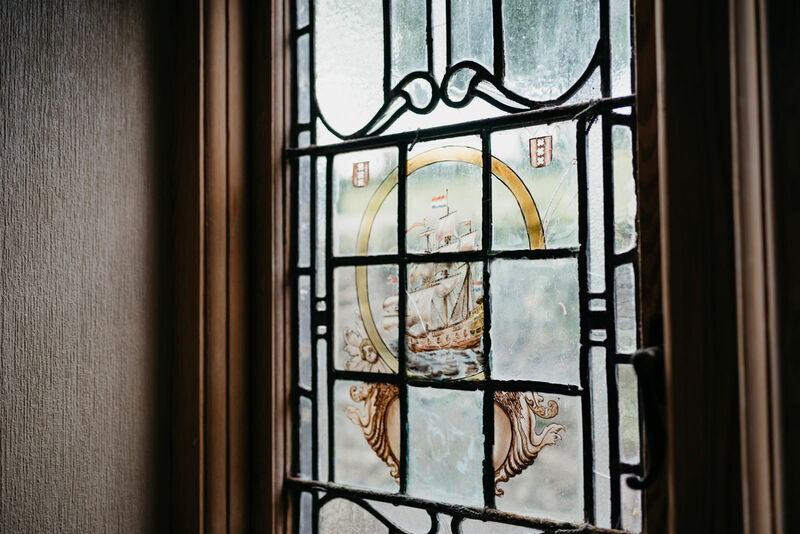 The Registry Office offers the choice or two rooms; the St Dwynwen’s Room and the St David’s Room. 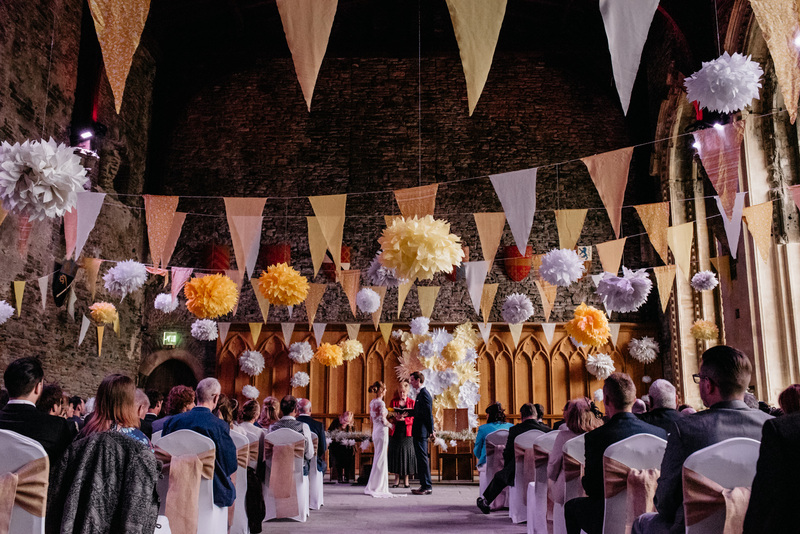 The St Dwynwen’s Room is the smaller of the two, offering ceremonies for weekday weddings and upto 10 guests. 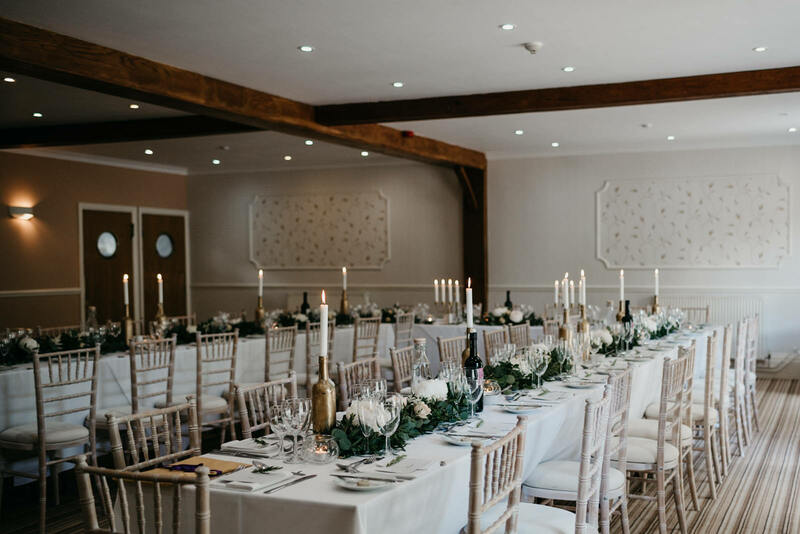 The David’s Room (pictured) offers seating for upto 65 guests. 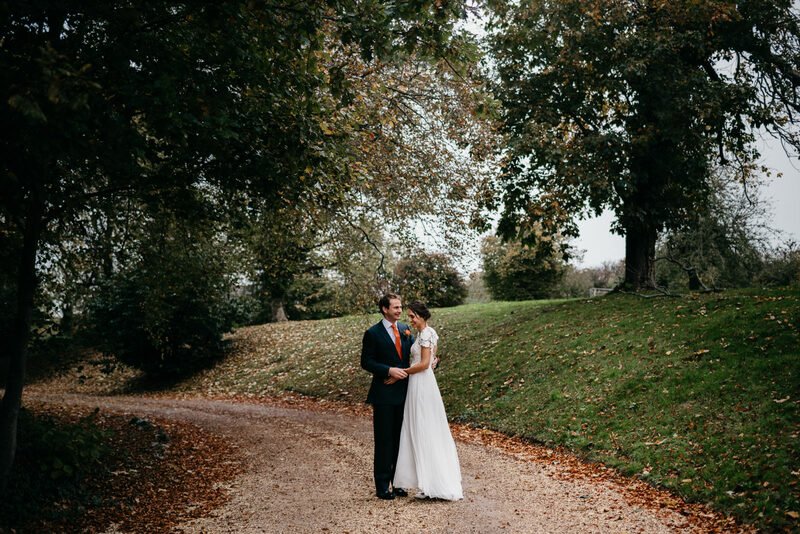 Geraint Thomas’s new venture, St Tewdrics House is a newly renovated wedding venue in Chepstow, Monmouthshire. 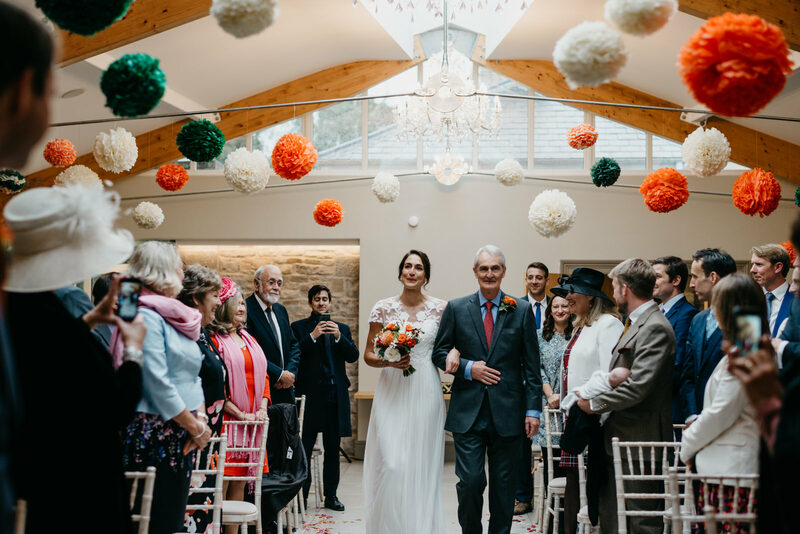 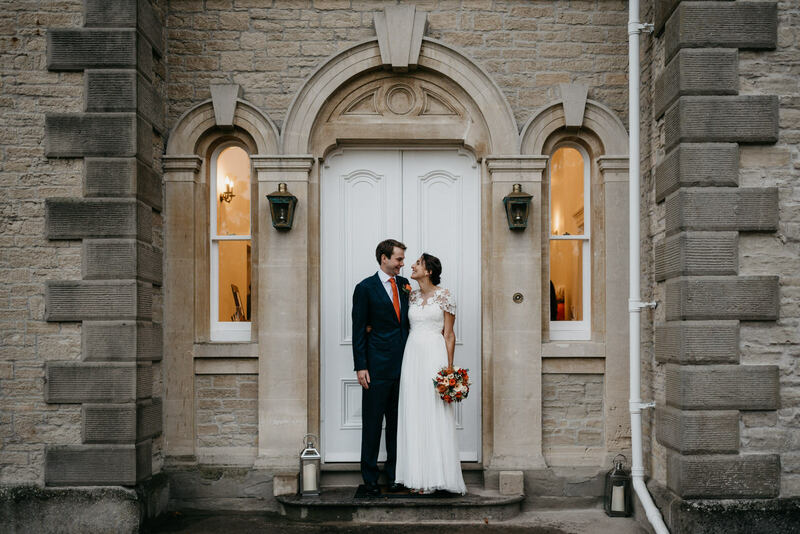 The original house boasts the most amazing light for getting ready in the morning, while the newly-built Courtyard hosts the ceremony and dining. 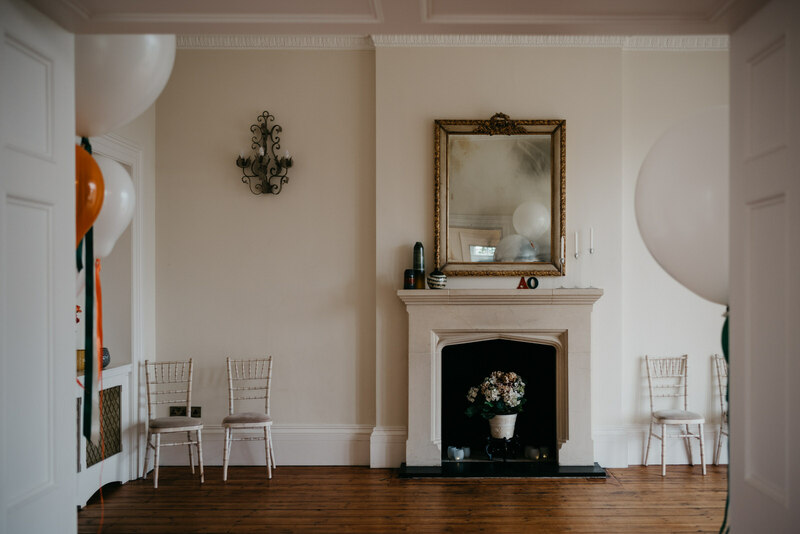 Lit by large ceiling lanterns, it’s a fantastic light room which looks with minimal decor. 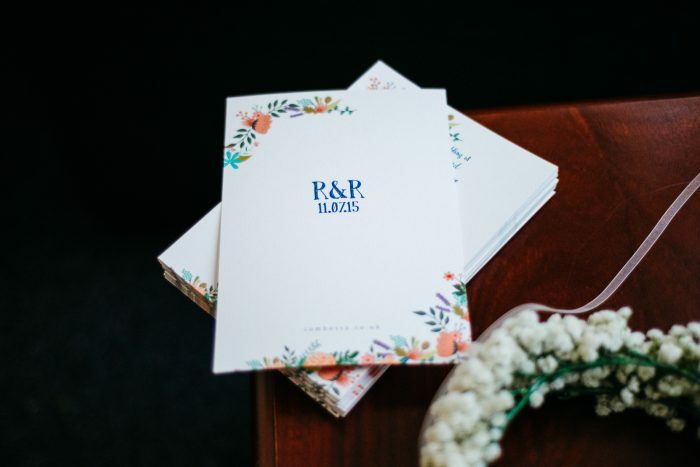 Looking for some where not listed here, or something a little different? 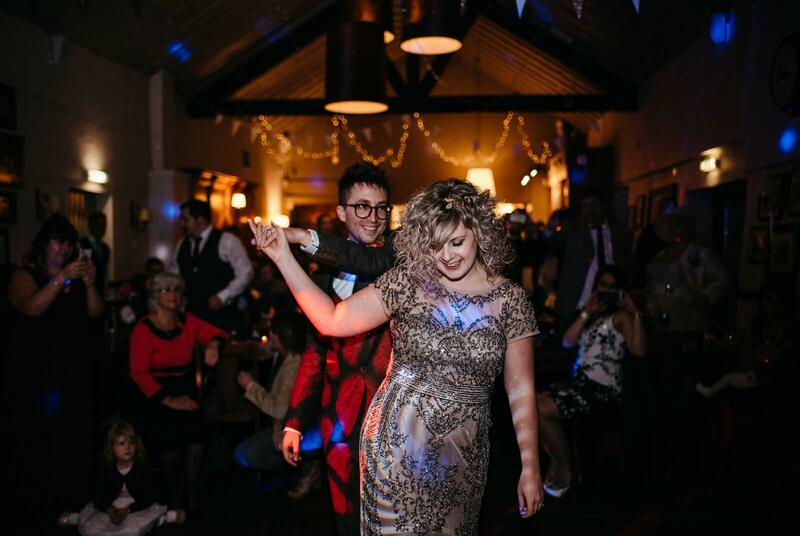 Please get in touch to chat about alternative venues, or to ask questions.